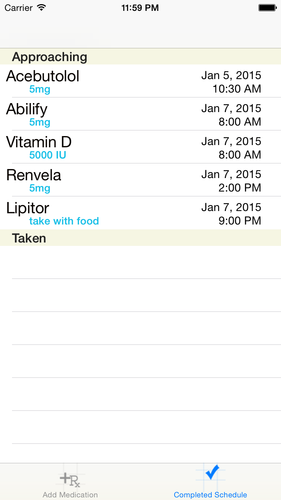 This app tries to solve the problem of not only forgetting to take your medication, but remembering that you already took is, so that you don’t accidentally take it twice. 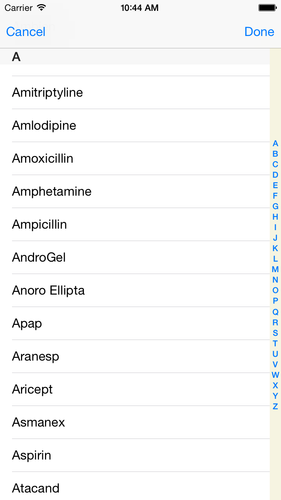 Select the medication from the list, enter the time and how often to take it. Enter any notes like “take with food” or “round red pill” and select if you want the alarm to remind you. The second tab allows you to see two things. First, the next time you’ll need to take each medication. 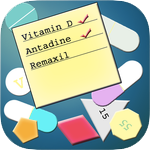 Secondly, the past history of when you took each medication. This can act as a journal so you have a record that could be shared with a health care provider if need be, but it’s also useful if you think you took the medication, but can’t quite remember. Hopefully it’ll reduce the risk of you taking the medication twice. 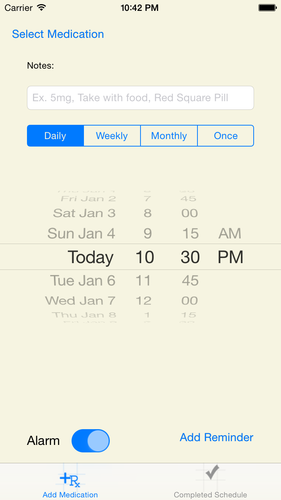 This app uses the built in Reminder engine, so you can also view these in the Reminder App for added flexibility.